I tried out another potential bridesmaid hairstyle today, and it very well may be the winner! 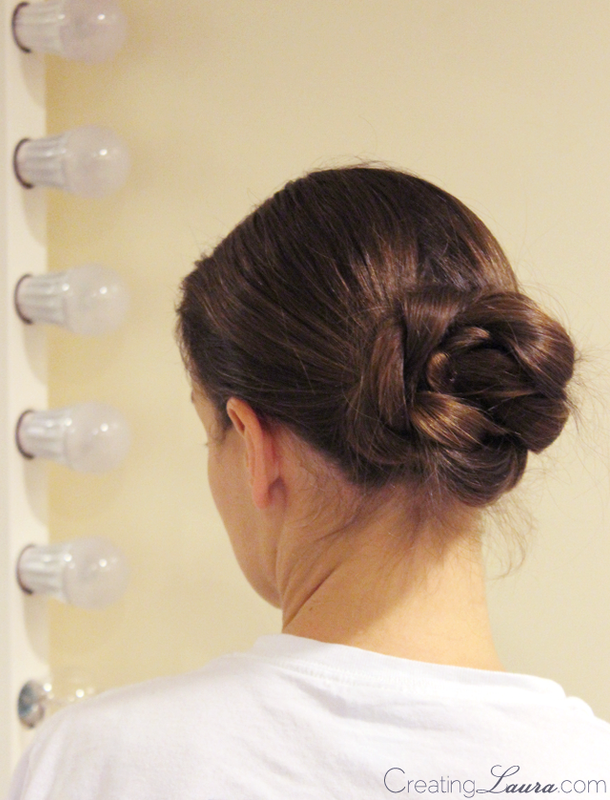 It's the double rope braid bun from The Beauty Department. I love it because it was easy to do (it only took 2 attempts for me to figure it out) and it's super sturdy; I've had it in for at least 5 hours and it's still holding strong without any hairspray. There will obviously be hairspray involved on the big day, but I just wasn't in the mood for it on a day off from shows. I try to give my hair a break when I can, you know? Anyway, this wasn't actually the hairstyle I had meant to try out today. I was planning on making a bow out of my hair, but it was a lot harder than I had anticipated, and I couldn't get it to work. I'm going to keep working on that one though, because I think it looks awesome. I'll definitely be blogging about it if I ever succeed. Have you done the double rope braid or the hair bow in your hair before?